Many businesses face stagnation during the summer months while people are away on vacation. This unpleasant slump can heavily affect a company’s bottom line, so waving the white flag and thinking to yourself that September will change everything isn’t an option. It’s true that there’s not much you can do if your prospects are out of reach and if your inbox is filled with automatic out-of-office email messages instead of with actual replies. Even online sales plunge by almost 30% during this period, so it’s clear that your chances of hitting your quota will melt on the hot sun unless you take some measures. But despair not, as we have a list of things that you should try before admitting defeat. This topic by no means implies that you should be the last man (or woman) standing and that you shouldn’t go on vacation during these critical months. Needless to say, taking a vacation is extremely important in preventing burnout as well as for boosting productivity, motivation, and engagement at work, and even research studies corroborate this fact. It’s extremely important to make your plans a couple of months ahead and to prepare everything before you leave. Prevent scheduling conflicts and overlapping by discussing vacation schedule with your team at least a couple of weeks in advance. This will allow every member of the team to organize their workload and complete tasks before their time off. Besides, it will be easier for you to organize a backup system and have everything covered while someone is away. If you have been nurturing certain prospect for months, check when you’ve promised you’ll get in touch, and make sure that you are at the office around that time. It wouldn’t be a good idea to delegate a member of your team to deal with these prospects as they can be under the impression that you aren’t consistent and dedicated to your work. If some of your prospects have an upcoming goal or a deadline in fall, remind them to take an action in a timely manner. Put in more effort into your activity. For example, if it takes 20 demos a month to hit your quota, make sure to book and deliver those 20 demos before your vacation. 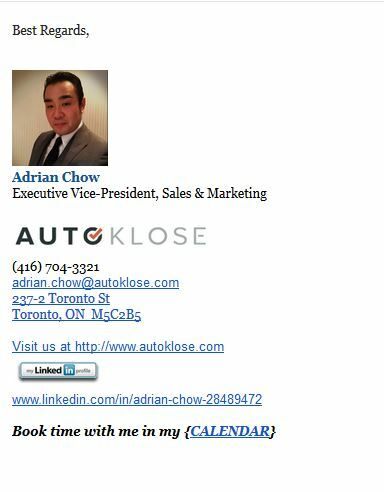 Make it as easy as possible for your prospects to contact you and book a meeting. Instead of letting them waste their time on calling and trying to find the date when both you and them are available, include a link to your calendar in your emails. 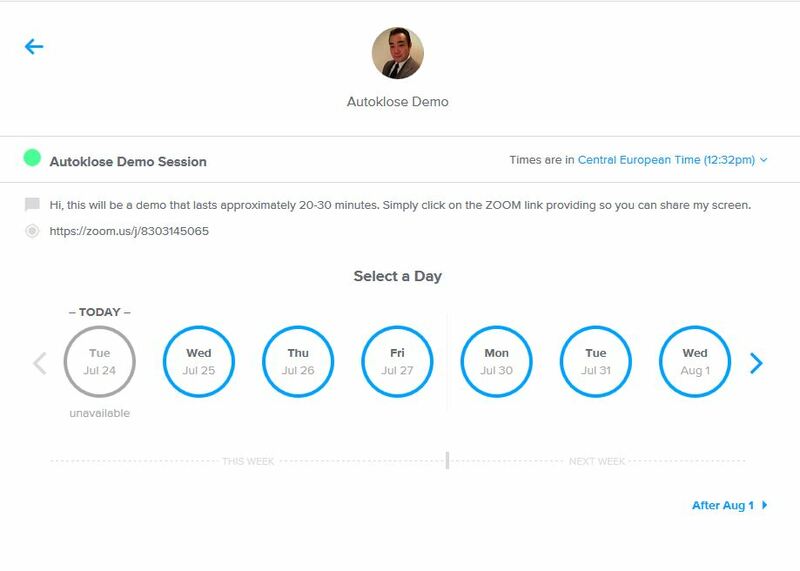 This will allow your prospects to see when you’re available, pick a date, and book a meeting without having to wait for you to confirm it. By eliminating any potential friction and obstacles from the process, you can speed up your sales cycle. Forget about the out-of-office message. Being unavailable can only put your prospects off. 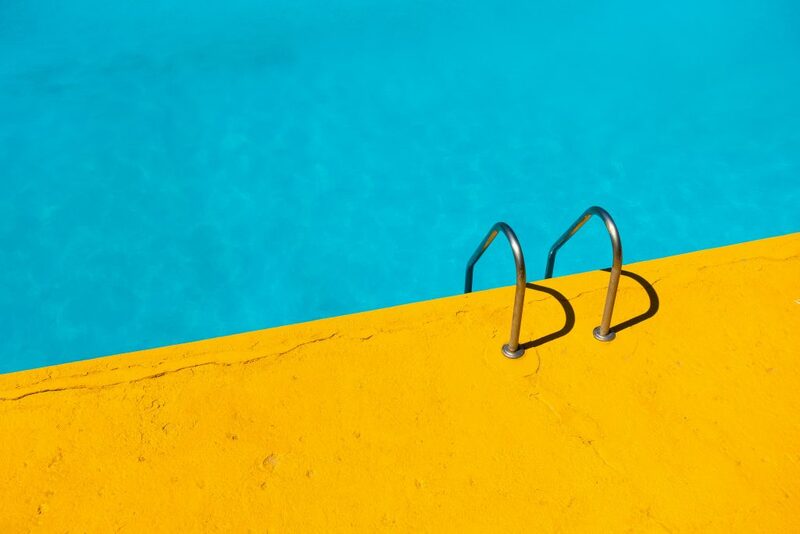 While it’s commonly suggested that you should turn off your business phone while you’re on holiday, it’s a better idea to dedicate 30 minutes a day (but not more than this), to check your phone and email. This time limit will make you more productive and allow you to be on top things as well as to deal with urgent matters. 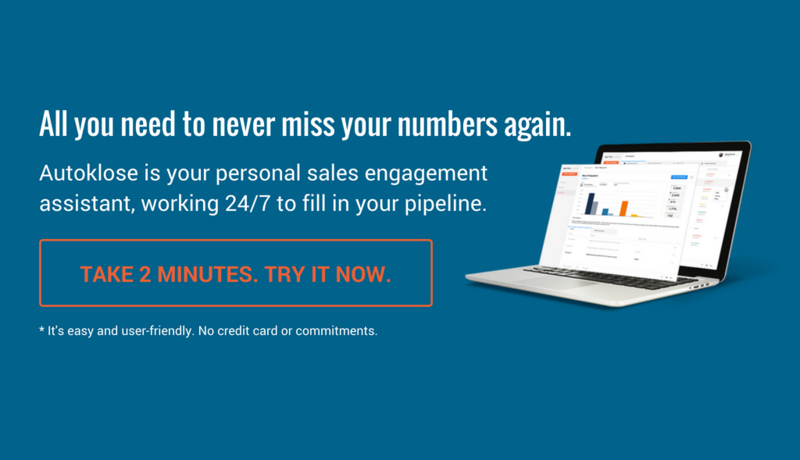 Automate your email and sales efforts by scheduling email drip campaigns which will keep your prospects engaged. 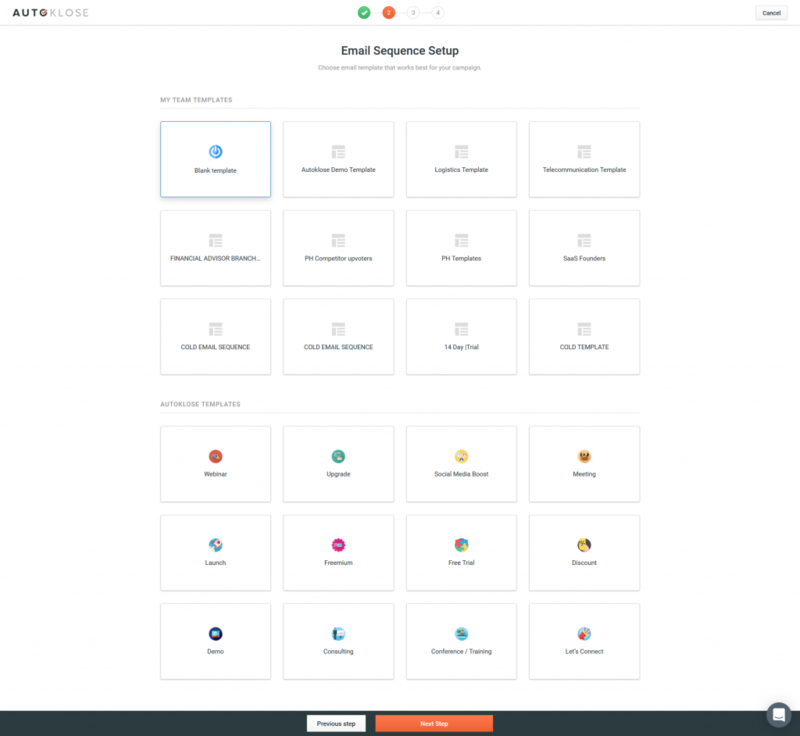 Autoklose allows you to personalize your messages, take advantage of its customizable pre-made email sequence templates covering various business situations, machine learning powered SmartSend and many other features which will keep your business running even while you’re relaxing away from the office. Real-time reporting option allows you to check how your campaigns are performing and fine-tune them if necessary. Your prospects won’t check their business emails, but it’s very likely that they’ll check their social media accounts while they’re relaxing on the beach. That’s why running various contests during the summer months can help you increase engagement and expand your reach. Learn from the best, and when it comes to marketing and sales innovations, it’s most certainly Coca-Cola. The company launched their “Share a Coke” contest, inviting customers to send them their snaps and videos of them enjoying a bottle or a can of the beverage containing their name on it. The campaign comes with a dedicated #ShareaCoke hashtag which invites people to share their experiences with others. As a final touch, every bottle and can contains a code which offers customers an opportunity to win something. These gifts range from a can of Coke to tickets for sports events. 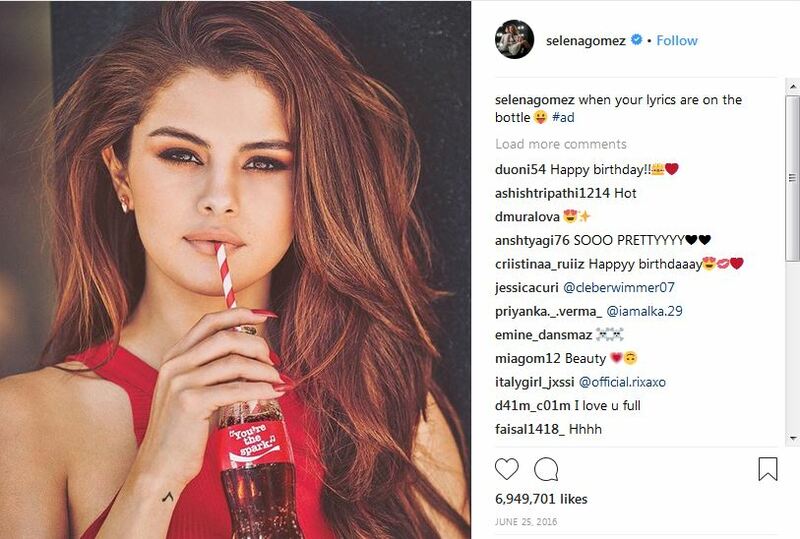 The popularity of this contest can be illustrated by the fact that Selena Gomez’s Instagram pic with a Coke broke a record as the most liked photo on the platform with 4.1 likes at the time. Giveaways are particularly effective, and what’s even better, they’re a powerful psychological motivator as people who get something for free feel almost obliged to “return the favor” and they usually end up making a purchase. Big dates such as the Fourth of July or Canada Day can serve as perfect occasions to host a giveaway on social media and celebrate together with your prospects. Use Facebook, Twitter, and Instagram, as these channels are popular regardless of the season. This subtle tactic relies on keeping track of any new events or news which your prospects share and using these triggers to connect with them. If you set up Google alerts, you will be notified every time your prospects’ companies announce something, which will allow you to stay up to date with everything that goes on, and reach out to your prospects on account of these recent changes. For example, these trigger events might be expanding to a new market, downsizing, or a change of management team. Such information, if obtained in a timely manner, opens some new doors for you. A company, whose recent quarterly report has shown a drop in revenue might benefit from your products or services for boosting productivity and cutting expenses, so by staying on top of things and being well-informed you can land a new deal. Similarly, if you check out your prospects’ LinkedIn and Facebook profiles on a regular basis, you’ll most certainly spot an anniversary, promotion, an update in their summary, or even a status update about a problem they’re facing. All these events create a perfect opportunity to reconnect with your prospects, congratulate them, offer your expertise and, if applicable, your product or service. This is something that salespeople usually do throughout the year, but it can be particularly effective to reignite engagement during the slow summer months. Let’s say that Mark, your lead from a company you’d like to do business with or whose account you’re already handling, has left its job and found another one. This trigger event means that you’ll have to update your CRM, and, naturally, add the person who replaced Mark on the position, and make sure to book a meeting with them in order to get acquainted and establish a connection. This is of critical importance especially if this person will be responsible for closing a deal with you or its renewal, which is why you need to act quickly and put your best foot forward. What’s equally important is that you should follow up with Mark and see whether there’s a possibility to establish some kind of cooperation with his new company. This is a particularly effective tactic if the two of you have a good business relationship. Don’t forget that people like to do business and purchase from people they trust. The summer slump is a perfect time to change your messaging if you notice that it’s ineffective. You can test various options and see how they perform. It’s a good idea to throw in a seasonal touch and mix a bit of humor to encourage engagement. You can start your voicemail or email by saying something along the lines of “Sorry to drag you away from your margaritas, but some of us have to work for our mutual benefit ☺…” Such phrases will help you establish rapport with your prospects and ease potential tension caused by interrupting their leisure time. It’s very likely that you have some prospects in your pipeline who said they needed more time to think about your offer a couple of months ago. Stats say that stale prospects are only cluttering your pipeline since more than 50% of closed deals happen within the first 3 months. So, check on the deals that failed to close either because the leads weren’t sales ready or even if they initially said no. Using a manipulative but effective break-up email is very successful in garnering responses, but only if your prospects are still interested. If you put a lot of time and effort into a certain deal, it’s maybe better to make a call and see where it goes. Prospects who don’t respond to this email are definitely lost and you should remove them from your pipeline. Many companies resort to seasonal discounts and cutting prices in order to attract customers. Apart from negatively affecting their bottom line, this common strategy carries another risk – your customers will always wait for summer, Christmas, or Easter sales in order to make a purchase and save some money. Instead of reducing prices, spark their interest by adding value and throwing in some premium features in a regular subscription package, or giving away branded items for purchases above a certain threshold. Such deals are great not only for boosting customer loyalty with your existing clients but also for landing you new deals. Another way of adding value is by offering your prospects some useful free resources which are covering their pain points in a helpful manner. That way, slow summer months can be used for nurturing your leads. 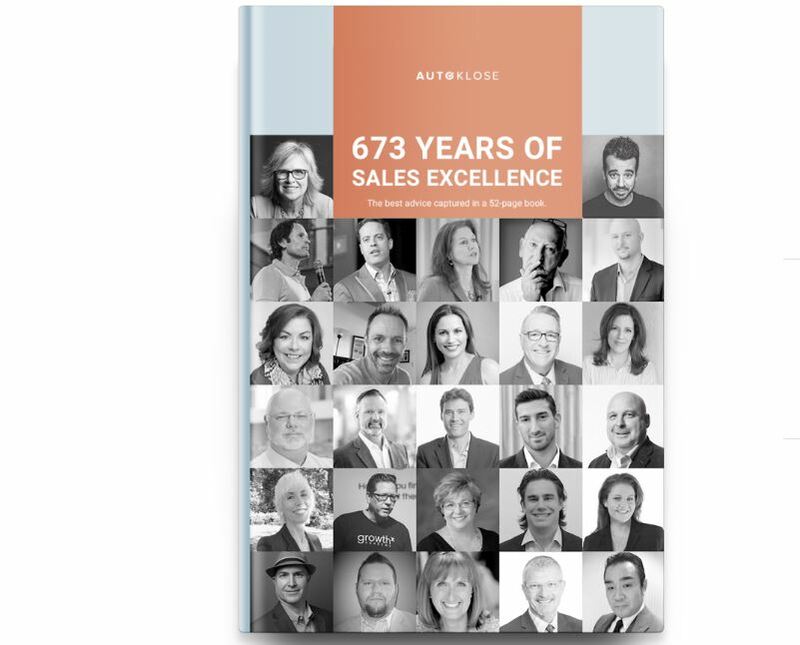 That’s the idea behind our recently published e-book 673 Years of Sales Experience in which we asked 27 outstanding entrepreneurs and sales leaders to share with us their thoughts on how to achieve excellence in sales. This e-book is packed with practical and helpful advice which, we hope, will offer you some guidance; it makes compelling reading during the summer, while people are taking a break but still making plans about how to improve their life and performance. As you can see, these are pretty straightforward tactics that you can take advantage of and beat the summer slump, so make sure to implement them.